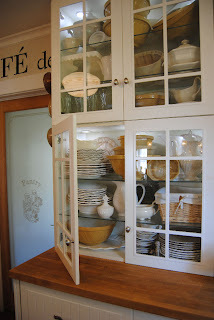 LaurieAnna's Vintage Home: The Kitchen at 5th Place - Makeover Photos! 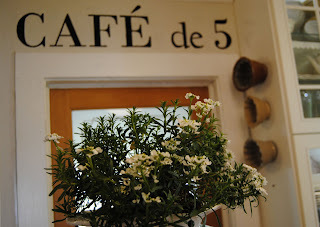 The Kitchen at 5th Place - Makeover Photos! Energetic and inspired....that's the way I feel these days! Hubby and I indulged and took a week off. Actually, we had planned to take 2 weeks, but by the end of week 1, I was so refreshed that inspiration lay everywhere! So, we put the energy and inspiration to good use and went to work on 5th Place! Hubby didn't complain too much, although I did hear muttering yesterday that sounded like, "just how many projects can we cram into a day off?" No doubt he must love me because I know that I wear him out at times! I'm very pleased with what we've accomplished over the past week....so many "after" shots to share that I don't even know where to start! We built a sidewalk, an office / guest bedroom, finished the master bedroom, the living room, and the kitchen details! It's been a very full week indeed! These are all photos of the completed kitchen at 5th Place that are long overdue. See my previous post for the first leg of this project. 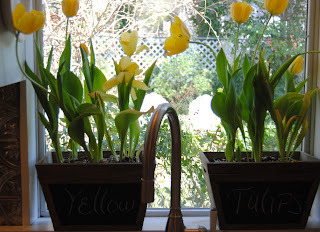 I'm tickled yellow with Spring bursting out everywhere! 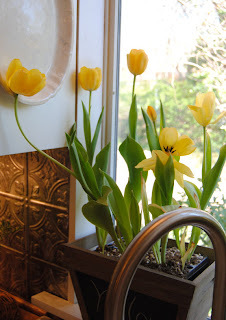 These tulip bulbs just astounded me. We used them at the Shoppe during the past First Monday show and they couldn't have been more than a couple of inches tall. I placed them in the kitchen window and they have gone crazy! Don't you love their new home? These chalkboard bins work perfectly ....aren't they fun? 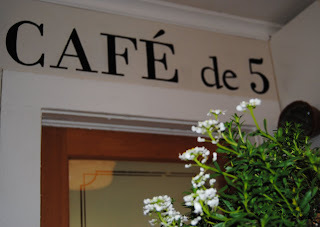 Cafe de 5. This handpainted project took an afternoon to complete and added a personal touch that is packed with personality. 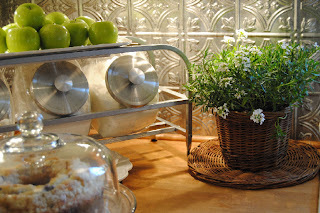 I love the way it revved up the tiny kitchen! 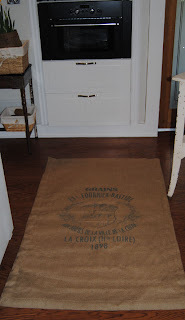 I wasn't crazy about the view of the master bedroom door so I painted it with chalkboard paint. Now, it not only gives a bit of depth to the corner, it's adds fun functionality too! This corner definitely needed some extra light and hubby was sweet enough to hang a couple mercury pendant lights ...love love love it! 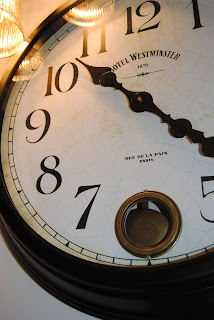 This fabulous oversized clock is the perfect pop of energy for this corner and the antique metal table (a Roundtop find from our road trip last year) was exactly what the small area needed. 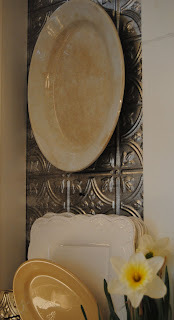 One of my favorite things at the Shoppe right now are these silverware molds....they are fabulous and were a perfect compliment for this little nook. I've been collecting vintage Sherbert / Sundae dishes for years but love them far more dancing on the bottle drying rack instead of sleeping on a shelf. The island was a find from Marcie and Mayron of Unique Unique Designs. So was this great ironstone platter. 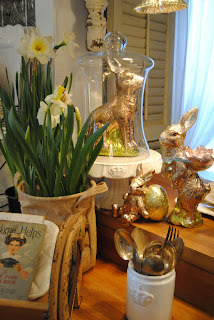 I love these vintage inspired faux foil wrapped bunnies...they are one of my favorite Easter arrivals at the Shoppe. 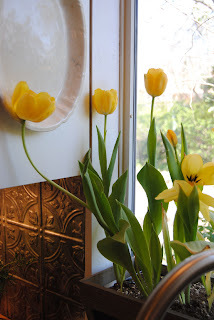 Can't get enough of Tulips and aged Ironstone! 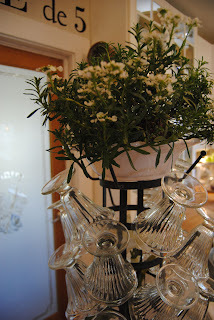 The container for the beautiful Iberis is a wicker cake stand flipped upside down. 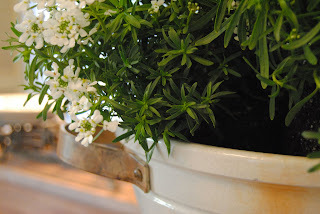 I heard about these flowering plants on Martha Stewart's show a long while back....they are supposed to be easy to grow. I love the freshness they bring to the counter. 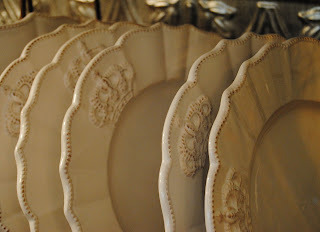 I love the crown dishes from the Shoppe....I think they are my favorites we've ever carried! 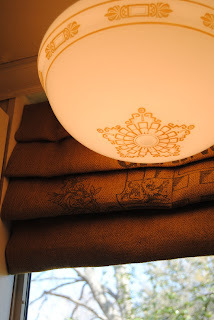 A burlap floor cloth was used for the window treatment. I can't decide if I like them better on windows or floors....which do you like better? You can read more about this kitchen makeover here. Would you say we've brought this little kitchen a long way? I'd love to hear your thoughts! 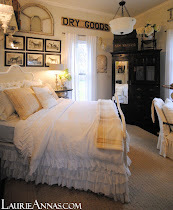 P.S I've got another room makeover post almost ready to go.....get ready for lots more photos! WOW love EVERYTHING about this kitchen . You sure have been busy and it shows. Amazing! I love the kitchen. You are so talented! Oh wow - what a wonderful job! Looks totally amazing! My kitchen needs doing, if you can spare some time!! Love it. Amazing! You have definitely been busy. Love everthing about it. 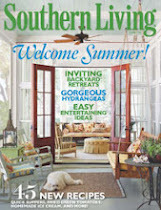 FYI...my new blog is www.shutters2010.blogspot.com....check it out. Already planning another trip to Canton in May, hope to see you then! Tina....yes the mantel and the entire room! Wait til you see! Sounds like you are going to have to take another week off to rest up after all that!! The room is perfect--just perfect. You have the talent and a great husband that apparently supports it! Kudos! I am in LOVE with those crown plates! Have a great weekend. 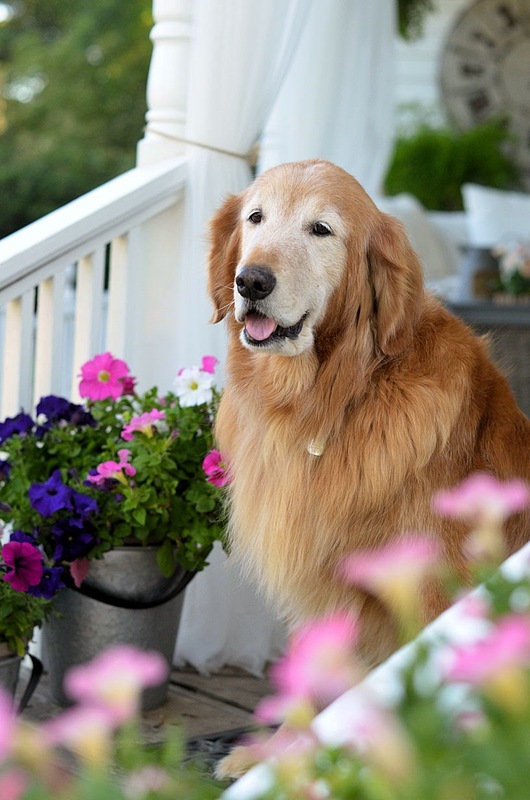 have a wonderful weekend LaurieAnna! The kitchen looks fabulous! I clicked on the photos to enlarge them and the detail is amazing! Congratulations! Oh my gosh, yes, what a fabulous job you both did! Seeing the actual before and afters really shows the difference. I love so many things you did here, Laurie Anna, that I can't name a favorite. I will say that I love the way you brightened things up! Laurie, ya'll have done a beautiful job. What an amazing transformation!!! Hope you have a wonderful weekend! It looks wonderful. I had to laugh at your hubbies comment. I hear a similar one, but It goes like this "If I let you, you'd have me working 24-7." All in good fun though. Your kitchen might just inspire me to actually cook. Great job for you and Hubby. That's cute Margo...I hear that one too! Heaven must have a special place for the hubbies of us junkers! Cathy, you know y'all are always welcome at 5th Place! Come by and see us one evening during the next show! Wow! It's all beautiful and definitely worth the wait! Your blog is always such an inspiration, thanks for sharing your talent with us! I am seriously drooling over that beautiful kitchen. I would give anything to have my kitchen like that! I'm moving soon, so this will be my inspiration for my new kitchen. Thank you for the inspiration and the lovely photos! Love it all.... seriously love it all!! Sending you happiness & hugs! 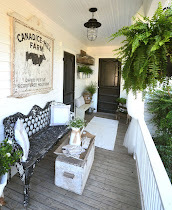 hope you don't mind but had to post your photos to my blog today - so inspiring!! Hugs! I visited your online shop, and I will definately come back, I grabed a picture for a link to my blog so I can return quick. Great pictures. 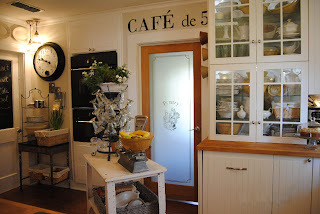 I just found your blog through a Glimpse of My World and I am in love with your kitchen. I could stare at it for hours. I can't believe what it looked like before. You really did a fantastic job! I'm hooked and now a follower! 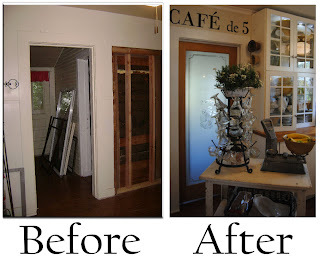 What an amazing makeover!! I love everything!!! Those crown dishes are so lovely! 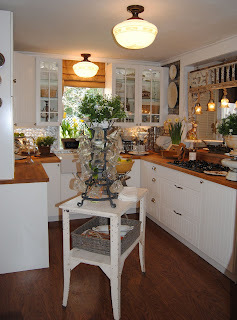 This truly is one of the most beautiful kitchens I've ever seen! What a transformation indeed. Enjoy it you deserve it. 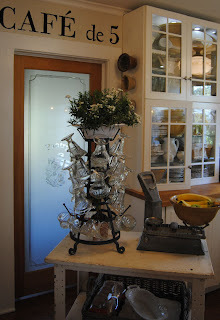 That bottle drying rack is lovely...looks stunning with the dishes upon it! I'm your newest follower! 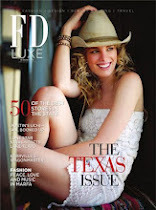 Love your blog and your photos! Hope you'll visit me sometime! What a transformation. You've injected so much personality into your wonderful kitchen. 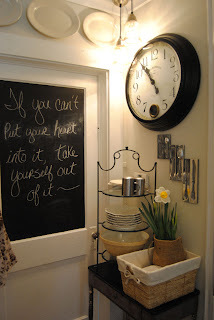 I love the clock, the chalkboard door, wow I love it all! Thanks for sharing. Wish I could be closer to visit your shoppe. 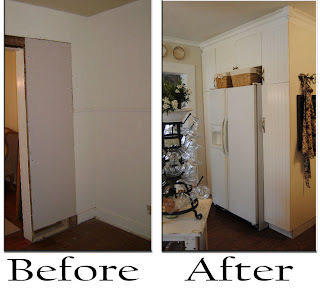 i just stumbled on your blog re: your kitchen remodel. 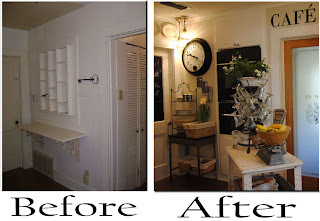 your kitchen is beautiful....i love so much of what you have done in there. 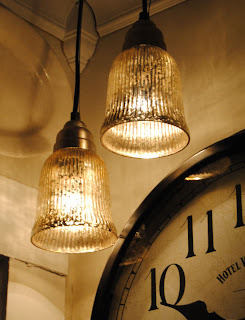 can't wait to go through more of your blog posts.... inspiring to see such fun! You must be loving it now that your all settled in! Gorgeous - I am jealous! 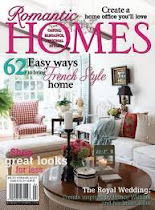 I've been looking for your site for months, I'm a follower but I couldn't remember where I saw your beautiful kitchen. I stumbled upon it a while back and I loved you kitchen only I couldn't remember where I saw it. 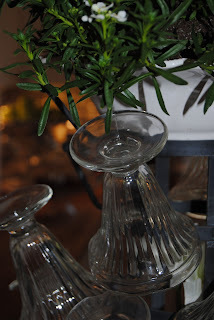 I have many of the same dishes and accessories... we have the same taste. I'm so glad I found you again! 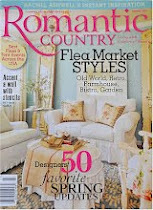 I would love to walk into your shoppe! It looks like it's chock full of goodness! Love your NEW kitchen!! The kitchen looks great. You have been one busy gal but you do such a great job. Glad that I have found your blog and I am now following so I can see more great tranformations from you. 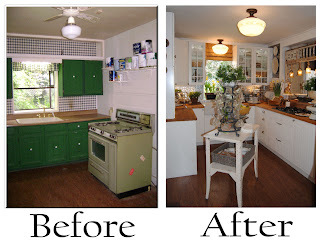 Love the kitchen make over. 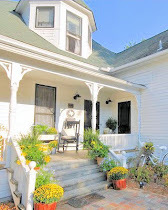 I just joined your blog and hope you will join me to read about my life as a Missouri Farm Girl. Gorgeous transformation!! I love every inch of it!! 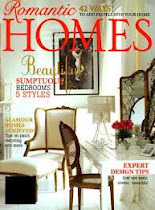 You really have a beautiful home!